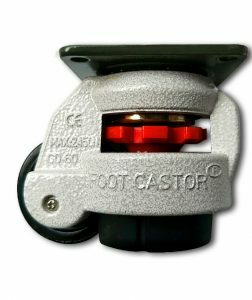 Leveling casters for your Steaklocker Pro Edition by Foot Master®, are a solution to the age old problem of flexible movement combined with the ability of securely setting and braking a caster in a specific location.The leveling foot, once set in place, provides for stable, anti-vibrational placement. Our leveling casters can easily move up to 6000 lbs. 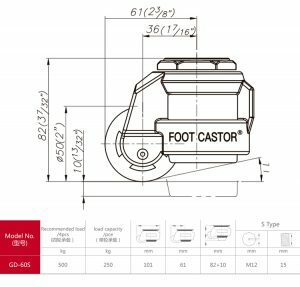 Greater weight requirements may require the use of more casters. 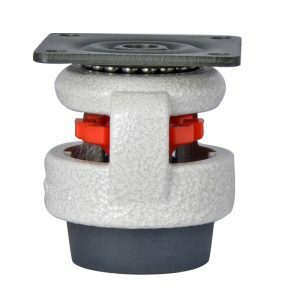 These type of commercial grade casters are being used on work stations medical, computer, communication, printing, woodworking, automation and assembly equipment. 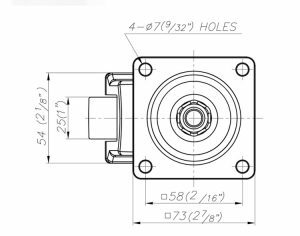 They are typically found in all manufacturing environments, including clean room and laboratory facilities. 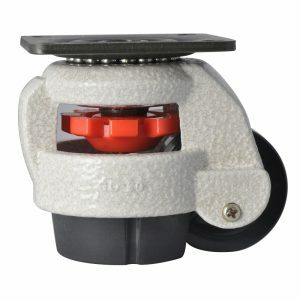 Die-cast aluminum frame with a steel swivel head and internal leveling mechanism and dial. Leveling rubber foot pad to level out and make the attached equipment completely stationary. Ultra strong non-marking nylon wheel. Packed in box of 4 units.